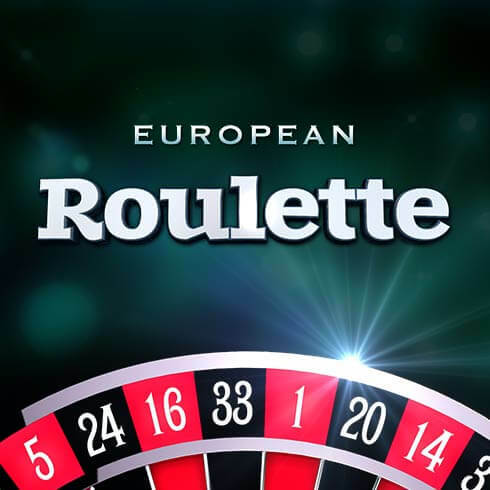 With less than seven weeks to go before exiting the EU without a deal, it is imperative, as the PM informed Parliament, to keep one’s nerves before spinning the roulette wheel for the final throw, in a betting game the British have engaged in without sufficient chips. Time has come to call their bluff! Like a boomerang, the slogans voiced by Theresa May such as “Brexit is Brexit” or “No deal is better than a bad deal” have come back to haunt their author, so three cheers for Charles Michel who has endorsed the second of these slogans. Indeed, contrary to Mrs. May, the Belgian PM’s stance offers a credible alternative: on the one hand supporting the agreed Withdrawal Agreement (“WA”) or, alternatively, arguing that a “no deal” scenario is preferable to a sloppy compromise aimed at saving the “transition period” by kicking the can down the road, prolonging uncertainties and risking to breakup the precious united front maintained among the EU27. What gives Charles Michel position particular relevance is that one can compare Belgium’s position in the EU (a small country highly exposed to a no deal outcome) to that of Northern Ireland within the UK. By implicitly waving the threat of a veto if additional concessions are granted to the UK (unanimity is required for amendments to the WA) the Belgian Prime Minister has cleverly upended the argument of those who initiated it, putting the British Parliament under pressure to ratify the existing WA draft. • The UK’s ambition was to regain the sovereignty that it has shared with the other 27 Members while maintaining the broadest possible access to its closest and most important market. It became very quickly apparent that this posture, extolling “taking back control” over its own destiny, was largely empty of substance: “Isolated”, the UK was at a disadvantage in negotiating with a more powerful counterpart; in addition, the weight of the UK’s geopolitical influence, which it had deployed recently largely through its membership of the EU, was being compromised. • The EU was emphasizing the benefits of shared sovereignty which guaranteed its Members the reciprocal and exclusive access to the “Single Market”. It also conferred them significant collective bargaining power with their past, present and future trading partners. It became therefore paramount to deny similar advantages to third parties. It is interesting to note that since the 2016 referendum, the world geopolitical and economic environment (Trump, China, trade wars, technological competition, etc. ), has deeply changed the stance of European national-populist parties with regard to the EU, moderating their aggressive anti-European rhetoric in favor of advocating – at least superficially – EU reform. This development is particularly significant on the eve of the European elections where the main stakes will be the opposition between those who advocate an “ever closer Union” (the progressives) and those in favor of a “Europe of Nations” (the conservatives/nationalists). It has been totally overlooked by the British negotiators who, totally absorbed by the domestic consequences of Brexit, failed to recognize that the result of the Brexit negotiations was of secondary importance to the EU compared with preserving its capacity to undertake, unhindered, its own necessary reform agenda. This explains why – while the possibility of requesting a delay of up to 12 months for exiting the EU under Art 50 seems to be gaining some traction in London – such an extension (which needs unanimous approval by the EU 27 and the endorsement of the EP) creates serious problems for the EU: it would imply the UK’s participation in the European elections with the risk of bolstering (temporarily) the representation of Eurosceptics (which are due to perform well anyway) in the EP; this is precisely the time when the sensitive issues of the EU’s plurennial budget and the nominations of the new Commission, the Presidents of the Council and of the ECB as well as the High Representative for Foreign Affairs will be decided. Alternatively, an extension to the end of June, (strongly opposed by industry for wrecking their planning), would only make sense in order to ratify an accepted agreement which limits the choice between the existing WA and a version in which the “political declaration” would be amended to provide additional guarantees concerning the future treatment of the vexed question of the “backstop”. Holding new parliamentary elections or a second referendum seems unlikely. It is difficult to envisage how Tories and/or Labor could agree on the content of their respective manifestos (for or against Brexit or committing to a second referendum?) without irretrievably splitting the parties, or how MPs would overcome their fears of deselection if they backed outright a new referendum. Such alternatives requiring extending UK membership under Art.50, the EU would insist – a minima – on knowing the path to the final outcome as decided by the elector. It is becoming clearer by the day that Mrs. May is running down the clock to force acceptance of “her” deal despite its historic parliamentary defeat last January, making this a highly risky bet. An agreement of convenience with Labor on the future relationship, tying the UK closely to the EU, risks splitting the Conservative party (as well as Labor) and would contravene the PM’s own red lines. The current state of play increases therefor substantially the risk of a “no deal” exit by default, despite the fact that a large majority recognizes the significant drawbacks of such a scenario. Whatever the outcome – which remains today unpredictable – one should thank the British for flagging the difficulties of withdrawing from the EU. It behooves the remaining 27 Members to draw the suitable conclusions and to accelerate the reforms necessary to reenchant the European project in the minds the population. Indeed, in this dangerous multipolar world, only a reinforced Union can provide its citizens with the necessary protection and open up space for fulfilling their dreams of peace, freedom and prosperity.